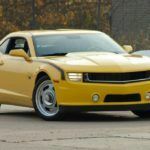 Another Camaro/Trans Am Conversion...Are They Serious? 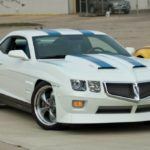 Another Camaro/Trans Am Conversion...Are They Serious? 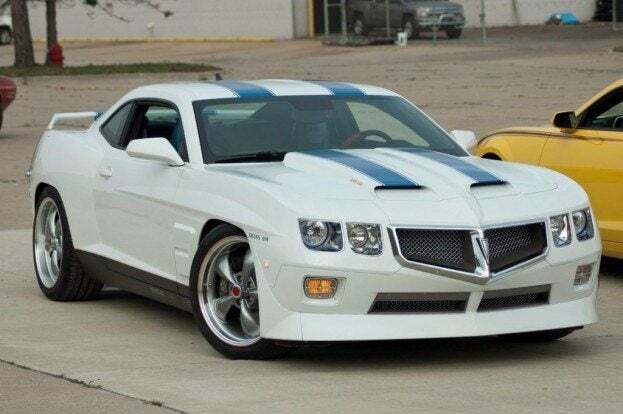 Another Camaro/Trans Am Conversion…Are They Serious? Every year, SEMA attracts countless custom cars. From mild to wild, tuners show off their latest creations. Each hoping to attract orders for their bodykits/cars/wheels/restoration services. And since beauty is in the eye of the beholder, you can always expect to find a few “misses” at the SEMA show. However, these entries are so hideous, that they bring new meaning to the word…hideous. 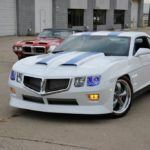 This year, Michigan-based tuner Heide Performance Products (HPP) decided to do what so many other custom shops have already done; turn a perfectly good Chevy Camaro, into a Pontiac Trans Am…and try to turn a Camaro into a Z/28. 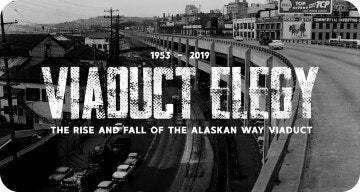 Now remember, Pontiac is dead. Kaput. Six-feet under. There’s no bringing it back. And the Camaro looks just fine the way it is. But that didn’t stop the guys at HPP. Oh no. They took a perfectly good Camaro, and festooned it with…well, look at the pictures. It sort of looks like a ’69 T/A…if you were really really drunk. And what’s with the wheels on that Z/28? It looks like they came off my niece’s Barbie Jeep. It’s really surprising that HPP got these cars so wrong. Because if you look closely, the quality of their work actually seems pretty good. So, the most obvious question to ask is; which looks worse, the cars, or the models? 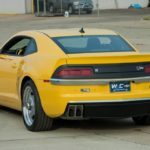 3 Comments on "Another Camaro/Trans Am Conversion…Are They Serious?" wow both the car and the beauty looks great. This is the 1st camaro conversion that actually looks right. So far everyone has done a 75's style. Finally a 69 look a like. If your taking a 1st gen. styled camaro and decided to restyle it, restyle in to a first gen Trans-am! Oh, and the models could be better. Just drive down to the local hooters and take your pictures there.